Mumbai: As a body was found hanging with slogans against Padmavati movie, actress Alia Bhatt on Friday blamed government’s inaction over threats given to filmmaker Sanjay Leela Bhansali and actress Deepika Padukone for the incident. Alia said she was shocked to hear about finding a body with slogans against the movie found at the Nahargarh Fort on Friday. “This is what happens when violent threats are allowed to made openly without punishment! What is happening? Shocked!” Alia tweeted. 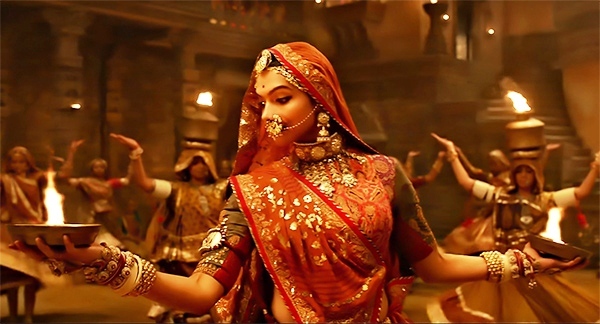 The Delhi High Court on Friday dismissed a petition that sought setting up of a panel before the release of Sanjay Leela Bhansali’s film Padmavati to ensure that history is not distorted in the period piece featuring Deepika Padukone in the title role. According to media reports, the HC said that the PIL against the release of the movie is misconceived and such pleas are encouraging people who are agitating against it. According to the petition, Padmavati should first be screened in front of three prominent historians from top universities and a retired High Court judge, apart from the Censor Board. The movie was scheduled to be released on December 1 but was postponed amid a bitter feud kicked up by different Rajput organisations, alleging that it has distorted history and has hurt the sentiment of the community by way of its presentation. Meanwhile, a Jaipur report said that the body of a man was found hanging at the Nahargarh Fort on Friday. While probing, the police also found a threat note on the rocks at the fort, which seem to suggest that the death was linked to the row over Padmavati. However, the police is yet to know whether the death was an act of murder or suicide. The deceased has been identified as Chetan Saini, a 40-year-old local man.